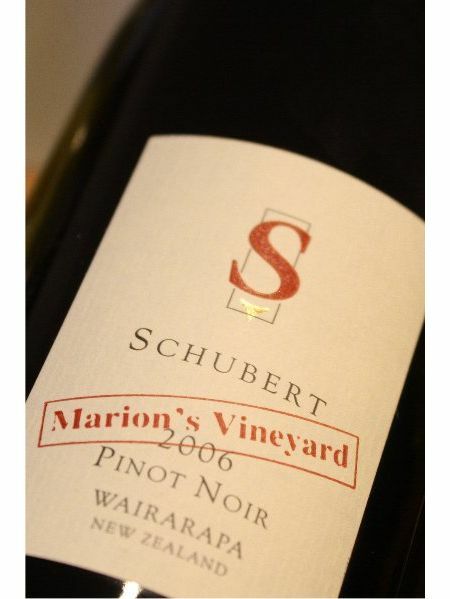 In our constant search for unknown gems from around the world, David came across this Pinot Noir from New Zealand's North Island (near Martinborough) and proclaimed it one of his top 3 wines of the year (although he has a lengthy top 3). Joking aside, however, I do agree with David's opinion of this wine in that it's worth every penny of its lofty price tag. It is simply stunning. Hand picked, careful selection of grapes, 100% de-stemmed, cold maceration, fermentation in stainless steel vats and then left on the skins for 3 weeks have all helped produce a top quality wine. The 12 months' ageing in a mix of old and new French oak has added weight, complexity and spice. It all adds up to that wonderful Pinot Noir mix of perfectly ripe fruit, loads of subtle secondary aromas and flavours, good acidity and a fantastic length of flavour.